Eight years ago, a group of individuals in Seattle began asking the question: If we were to create a new kind of Jewish community, specifically designed to meet the needs of 21st century Jews, what would it look like and how would it be organized? How would it meet the increasing gap between the needs and mindset of today’s generation of Jews, and the structure of traditional Jewish communal organizations? The answer this group came up with was the Kavana Cooperative: a pluralistic, non-denominational, and cooperative Jewish community. Influenced by Seattle’s start-up culture, co-founders Rabbi Rachel Nussbaum and technology executive Suzi LeVine aimed to create an organization that was simultaneously open and experimental as well as thoughtful and strategic. Most of all, Kavana would be a place that empowered its constituents to create a meaningful Jewish life for themselves and their fellow community members. Today, Kavana is sustainable and growing, with a diverse community of young adults, families with children and a growing cohort of empty nesters. Shabbat is celebrated in a variety of ways: through our monthly Shabbat morning minyan which offers high-intensity prayer, song and study led by a growing corps of volunteer daveners; through “camp-style” guitar-led services; through celebratory Kabbalat Shabbat services and potluck dinners in parks in the summer and coffee shops in the winter. On holidays, a diverse array of study groups, services, meditation workshops and family programs offer a “choose-your-own-adventure” menu of options. Children of all ages take part in one of our five content-rich after-school programs each week or our “havdalah club”; a Hebrew-language immersion gan brings together preschoolers from American and Israeli homes, both Jewish and interfaith; family education programs engage both children and parents simultaneously in rich Jewish conversations. Adults gather for Torah study, book club discussions, and also to glean vegetables for the local food bank. And, Kavana employs “social engineering” to thoughtfully weave a denser fabric of community, for instance carefully matching partners for home hospitality events and meaningful volunteer roles. Kavana views itself as a laboratory for innovation, and has developed (and continued to tweak) a unique financial model and a distinctive cooperative model. As in a preschool co-op structure, everyone who “joins” Kavana as a partner is expected to show up regularly, take on a volunteer job, and contribute financially. Partners provide input regarding governance and financial model. And, at the same time, Kavana has fostered openness to non-partner participation with its “long entry ramp” philosophy. 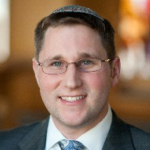 The community’s financial model is a hybrid between a synagogue-style membership model and an externally funded outreach model a la Hillel or Chabad. Currently, Kavana has 100 partner households and attracts 300 people a month. Over 1,000 people participate in a Kavana program at least once in the course of a year. As the leader of the Kavana Cooperative, I am often asked whether the powerful model of local Jewish community we have created in Seattle is replicable elsewhere. I have long believed that the answer to this question is yes, and last year, we undertook our first large-scale evaluation study in order to be able to better understand and explain the “secrets” to Kavana’s success. Under the guidance of HUC-JIR sociologist, Dr. Steven M. Cohen, and with the participation of a team of volunteers, we designed a survey to help us probe the demographic make-up of the Kavana community and how participants understand the impact of Kavana on their lives. Our evaluation study confirmed that Kavana’s model is indeed working. For example, 85% of those surveyed said they had increased their Jewish knowledge, social interaction or observance since becoming involved with Kavana, with the effect particularly pronounced among partners (our terminology for members of the cooperative). In addition, 93% of those surveyed had recommended a Kavana event to a friend. We also found that Kavana is simultaneously attracting those with “high-intensity” Jewish backgrounds (as measured by Jewish education, participation in youth groups and summer camps, measures of observance, time spent in Israel, etc. ), on the one hand, and also those with tenuous or virtually non-existent Jewish backgrounds — an indicator that Kavana is offering authentic, rich content without watering anything down and simultaneously creating an open and welcoming environment. Perhaps most importantly, the data from the study revealed strong positive correlations between higher levels of involvement in Kavana, high satisfaction levels, and high degrees of (self-reported) impact. In recent years, there has been much talk about congregational membership models and what is/isn’t working in them. As we analyzed Kavana’s data, one particular area of focus was in trying to better understand people’s decisions to join or not join Kavana formally. We noticed right away that there were some salient differences in behavioral and attitudinal patterns between our partner and participant (non-partner) populations. Initially, we had come up with a number of theories about the underlying factors that perhaps could account for these gaps — for example, we hypothesized about socio-economics (perhaps people with more money join and others do not? ), the presence or absence of children in the household (perhaps people tend to join Kavana when they have kids but not sooner? ), or intensity of Jewish education/background (perhaps people with stronger Jewish backgrounds feel more comfortable joining than relative novices?). Survey data showed all of our guesses to be wrong. Factors like income level, children/no children, and Jewish background appeared not to be great predictors as to whether someone would choose to join as a Kavana partner. Instead, the single biggest factor correlated with partnership was the presence of informal social ties to other people in the Kavana community. Or, to restate, the more often individuals hung out with other Kavana people socially and outside of formal community-organized events, the more likely they were to attend Kavana events, and the better their experience of Kavana was likely to be, as measured through their satisfaction levels, and the change in their Jewish behaviors and attitudes which they attributed to Kavana. In retrospect, this finding feels intuitive and very much in line with what we observe every day at Kavana. And yet, most Jewish communal institutions, including our own, have not been built around the idea that we must support the formation of informal social ties as a core part of our mission. 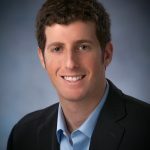 In response, over the past year, we have begun making a very fundamental identity shift: away from viewing Kavana as an organization that provides services and programs, and instead moving towards understanding Kavana as a platform for forging relationships and building Jewish community, first and foremost. We are currently drafting a new strategic plan for Kavana which emphasizes the importance of connection and engagement, and we anticipate that in the coming years, this identity shift will have major implications for how we utilize resources including money, volunteer energy, and staff time. I want to return to the question I posed above: Is Kavana’s model replicable? I still believe that the answer is an emphatic yes, but now, armed with the results of our recent evaluation study, I have even more reason to believe that this yes is a qualified one. I am confident that Kavana’s successes can be reproduced across many other settings. However, this will only work when coupled with a deep understanding of the different priorities and assumptions upon which Kavana has been built, and an awareness of how these are different from the fundamental assumptions of many other institutions. The synagogue model of the mid-20th century is outdated, and needs a complete overhaul, not just Band-Aids. a commitment to constantly learning, growing, and improving on our model. It is my sincere hope that by sharing our success and some of our key takeaways, we at Kavana will inspire other communities to take bolder risks in creating new models of their own or adapting existing models. I also hope that other communities will publish their own experiences of what works and what doesn’t. In that way, we can work together in order to bolster all of our successes and enable more institutions to better meet the needs of the 21st century American Jewish community. 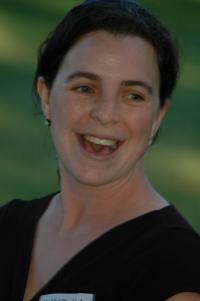 Rachel Nussbaum is the Rabbi and Executive Director of the Kavana Cooperative, which she co-founded in Seattle in 2006. In addition to working at Kavana, she has served on the faculty of the Wexner Heritage Program, the Bronfman Youth Fellowships in Israel program, and Rabbis without Borders. Rachel invites you to read Kavana’s entire Evaluation Report for more insight into why she loves her job!